*The trailer and the images of the racing pods have been added. 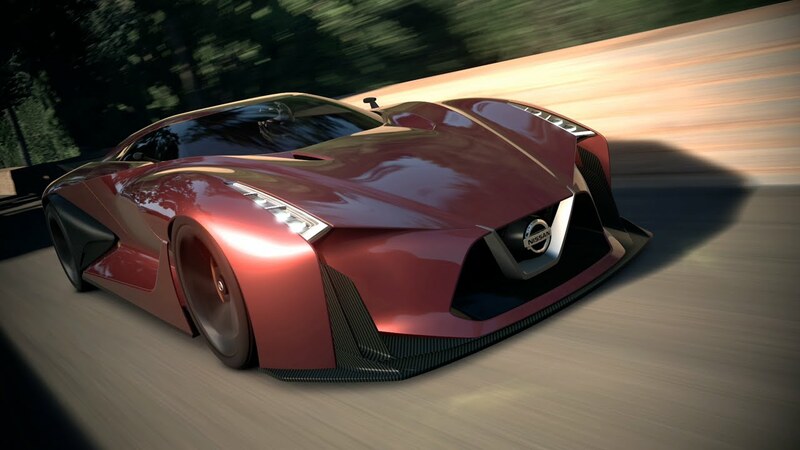 Nissan have announced that a full-scale model of the Nissan Concept 2020 Vision Gran Turismo, which debuted at the Goodwood Festival of Speed 2014, will be displayed at the 44th Tokyo Motor Show. The model on display will feature the all-new "Fire Knight" body colour and a refined design that makes prominent use of Nissan's signature V-Motion grille. The 2015 Tokyo Motor Show will be held at Tokyo Big Sight between October 30th and November 8th.